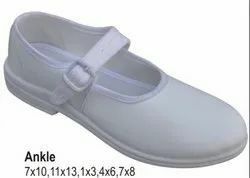 Pioneers in the industry, we offer poddar soft school shoes, poddar derby white school shoe and poddar girls ankle white school shoe from India. We offer a wide range of optimum quality Soft School Shoes to our valuable customers. 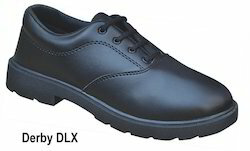 These school shoes are manufactured from finest quality leather, which is obtained from reliable and certified vendors. In order to ensure a defect-free range, these shoes undergo various quality assurance checks conducted by our team of quality controllers. We are among the prominent manufacturers and traders of an extensive range of high quality Boys School Shoes. Due to their elegant design, fine finish and high durability, these shoes are highly appreciated among our customers. The offered school shoes are available with us in standardized packaging due to our well-equipped packaging unit.